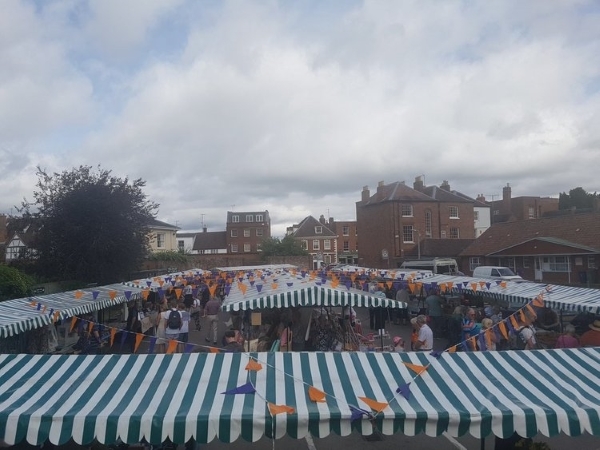 Launched in autumn of 2013, with active support of local environmental and retail groups, this is a monthly food and crafts market held in shadow of Tewkesbury Abbey. This monthly event is well supported by local people who value essentially agricultural community origins, with substantial public parking and popular caravan sites are situated nearby. Stalls are all supplied, with the option to add electricity for a small additional fee if required, and there is free trader parking on site.